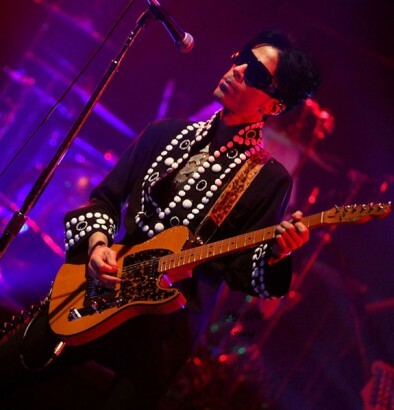 24 Sep Exclusive: Prince Rehearsal Track! Listen Now! Well, Dr. Funkenberry, since you’re in good with Prince, why don’t you convince him that he should do concert (tour) here in the U.S. first, then go overseas. Dallas first, of course! Hope 2 see u soon in the Netherlands,Peace and StayWild…..
Man that was GREAT! Such a nice surprise to hear Prince do a song I never thought I’d hear Prince sing. I loved it and I hope you get more exclusives in the near future. Awesome! I LOVE when he releases new stuff to us, even if it’s just from a regular ‘ol purple day at the office. 😉 Thanks Prince! Great to hear him performing this fantastic song again. Hopefully the Lotusflow3r members might get a few more gems like this put up on the site. It’s long overdue an update. NIIIIICE!! Thanks PRINCE!! And thank you Doc for passing along this funk! I like how the end fades as they go into Take Me With U.. what a tease!! Hopefully Prince will give you more to share!! Just great! The man’s old stuff sounds brand new! so glad prince likes you doc and shares so many fab things with you. keep it coming!! se agradece!!! Mind can’t help thinking it should be on LF.com but I guess no surprise. Wow!!!! Thanks 4 sharing this material….Made my day!!! ahh… just what i needed today. thanks! LOVE IT!! !